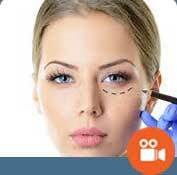 The “Kapositas Plastic Surgery Clinic” was established in 1998 when Dr Nodas Kapositas, M.D, PhD, came back from the States, having completed his training at the University of Illinois in Chicago, USA. Initially based in Athens, he then started performing his medical practice in Thessaloniki, Greece, and then in Nicosia, Cyprus, treating patients from all parts of Greece and Cyprus. In 2004, he extended his medical activities operating patients in the United Kingdom, the USA, Germany, Russia, etc, constituting “Kapositas Plastic Surgery Clinic” a Global-Luxury destination for plastic surgery patients on a global basis. Since 1999, the surgeries conducted by Dr Kapositas number more than 7,000. With over 18 years of experience, we are confident to say that we have simplified the procedures required for a foreign patient to visit Greece or Cyprus and undergo a surgery. Watch Dr. Kapositas elaborate on the particularities of breast augmentation in models and the desirable, applicable breast size in cases like this. Also, watch Christiana who works as a model and explains the reason behind her decision to undergo the procedure, how post-surgery castings got her new contracts, as well as her overall experience from the procedure. Christiana had 275 cc silicone implants inserted in her breasts (Cohesive I, Moderate Plus, Mentor, USA). 1 Victoria Square, B1 1BD. Birmingham, UK.